You may remember over the summer when I salvaged "the rock" from my childhood yard and placed it in my front garden. 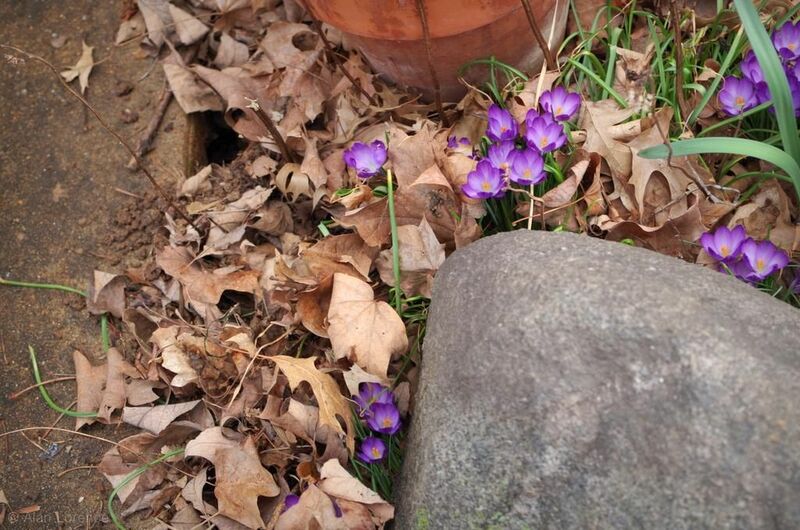 It seems I positioned it "perfectly" -- right on top of a bunch of crocus! That's the problem with spring bulbs, or anything that goes dormant in summer: you never remember where they were! Well, at least I don't. It's kind of a nice scene though, and yes, there are still loads of leaves for me to clean up. Maybe that means that a predatory bird will more easily spot it and take care of the little bird feeder raider for me. No foliage to hide behind little guy! Ain't that the truth about summer dormant stuff. 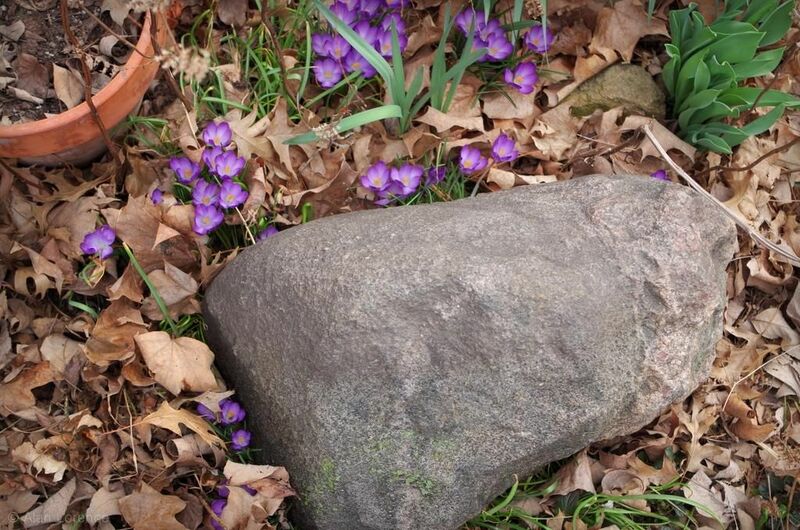 Your childhood rock looks very nice surrounded by what's left of your crocus. 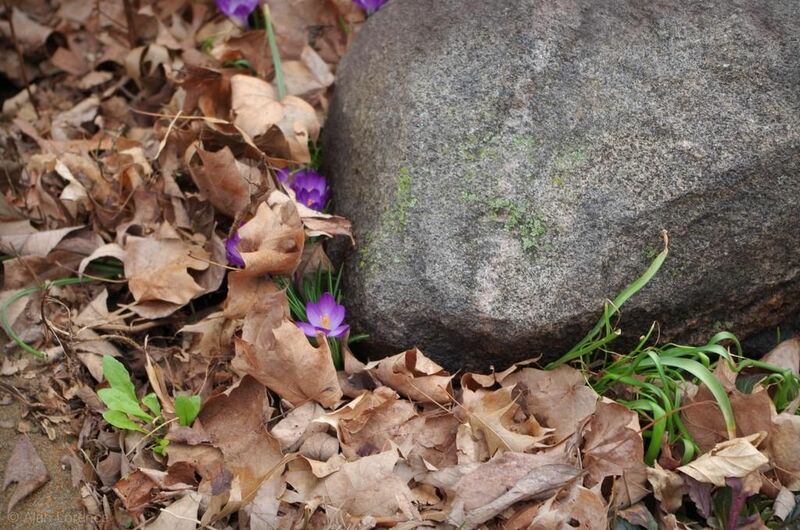 The rock, surrounded by the crocuses and dry leafs, makes a very pretty vignette! Any chance you'll dig the remaining bulbs from under the rock? 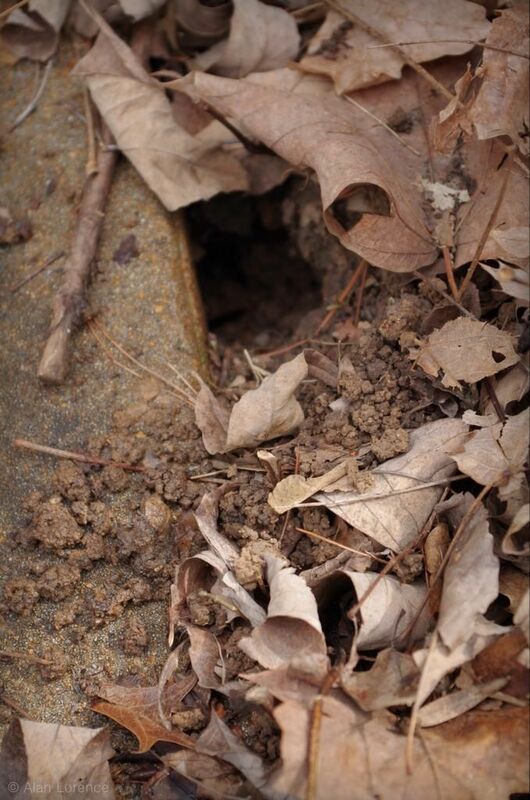 I didn't realize chipmunks are hibernating creatures. We don't have them in Seattle. Chipmunks. The absolute bane of my gardening existence. I just discovered more of my Asiatic lily bulbs dug up, one little nibble taken out of each one. ONE OF US HAS TO GO! haha! Nice rock. That's so cool you brought it home with you. The crocus complement it.